78 of the Fortune 100 trust Ivanti. We help them respond to user demands, comply with regulations, and secure their organizations—all while reducing costs. Why Do We Talk About Unified IT So Much? Unified IT isn't just our new buzzword. It's real. And we can help you get there. Go beyond the standard IT event. In-depth, hands-on training, product roadmaps, IT insights. Cut costs, gain visibility, and use only what you need. Let’s face it, IT has become siloed. At the same time, IT professionals are bombarded with information. The lack of communication between tools and teams increases risk and cost, slows IT response, and leaves users and the business exposed. Meanwhile, security threats are skyrocketing. Ivanti is changing the IT landscape by breaking down IT silos with increased visibility, shared data, and automated processes. We’re helping customers respond to user demands and market changes, comply with regulations, and secure the entire organization—all while reducing costs. We call it the Power of Unified IT. Stretch your IT budget. Prevent ransomware. Migrate to Windows 10 quickly and easily. No matter your IT challenge, Ivanti has a solution that can help. Tackle the singular patch management needs of the data center. Secure your endpoints. Extend SCCM with patch. Prevent ransomware. Resolve your organization’s biggest IT headaches. Keep your users happy. Impress your boss. Survive that next software audit. Make sure former employees can’t log into Salesforce. Deliver an entirely personal desktop to each employee. Migrate users to Windows 10. Manage every endpoint. We can see what is installed where, who needs which version, what needs more RAM, and what is in need of repair or retirement. Now we have the visibility we need to guide IT strategy. It changes the way we work. It helps me sleep better because I know that our systems are going to be more accurate, stable, and secure. With Ivanti, I could see straight away that we were purchasing a very powerful and configurable tool, and the ‘out of the box’ processes mapped well with our implementation designs. This deployment wasn’t just about unifying old ticketing help desks. This was about providing ITIL based processes and results metrics while deploying across IT and other departments. 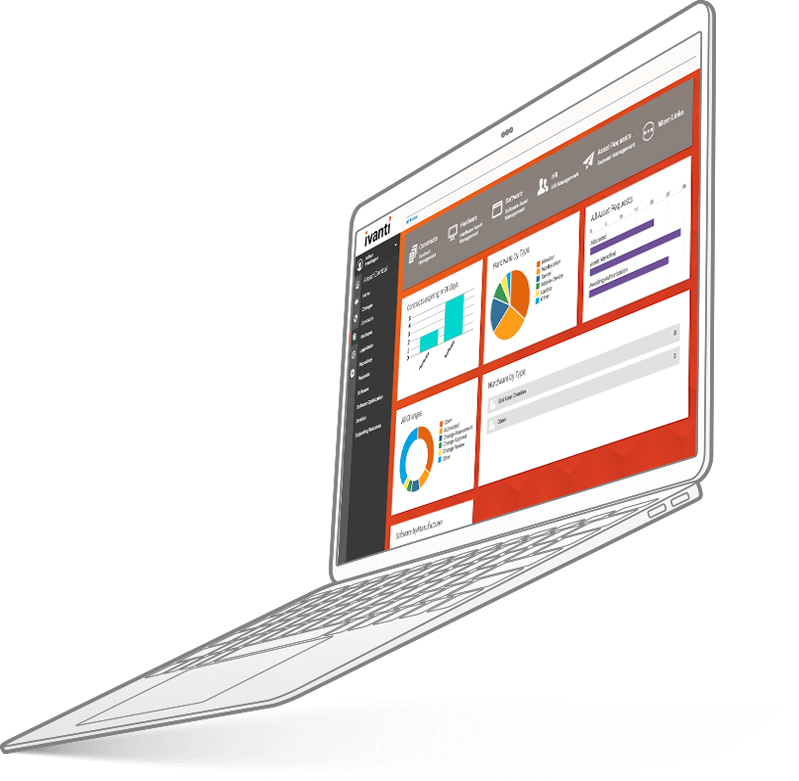 We have used the features within Ivanti Service Manager to simplify and enable custom roles, layouts, and workflows according to the requirements of those using them. We’re here to help you solve your IT software needs. Call us and let’s discuss how we can help you unify your IT world. No need to wait. Request a quote for an Ivanti solution that will make your life better.